Last week was a busy, full and important week for us! We had a trip down to Pietermaritzburg and Mooi River, as we are having to decide where to send Caide to High School next year! Both boys played in a hockey tournament on Tuesday, and I went to my first quilting class on Saturday, it was lovely! South Africa is on my bucket list. Good luck with your high school decision. Lovely PL pages. Seems like a great week. Hope you enjoy your quilting class and are also able to find the right HS for your son. WOW! What a busy and important week!! Love your layouts. 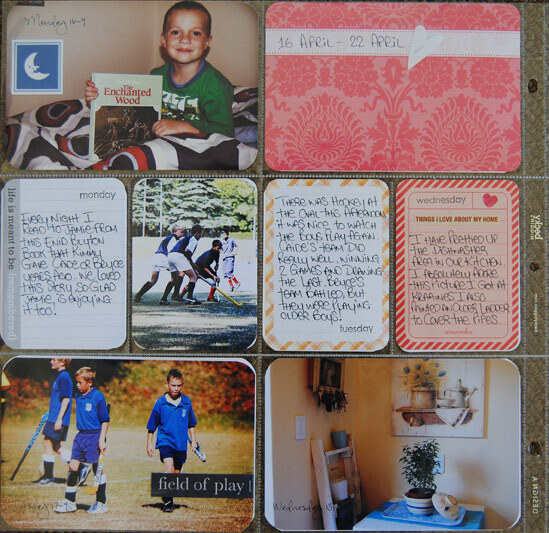 I'm so jealous of your scrapbooking-I didn't bring any of my stuff to SK (not that I would have time for it!) and sometimes I wish I could make some progress. For now, the digital will have to do! We had a lovely long weekend here in SK, too! Your little dishwasher corner is so cute. I love it. Wish we had field hokey here. I think my boys would love it. 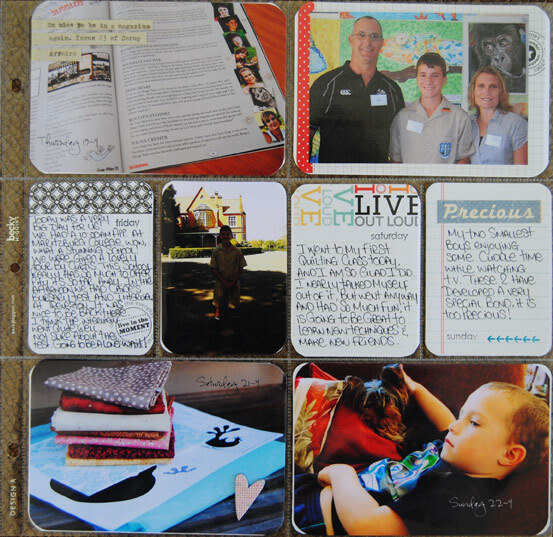 I love your project life pages. They are so clean and simple. Thank you for sharing. What a Fabulous project! Love the idea of writing about your week!